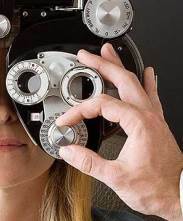 Quality Eye Center is a comprehensive eye care center in South Jersey. We provide complete eye care for you and your family. Our highly skilled Board-Certified Ophthalmologists and experienced Optometrists, along with our caring staff, are dedicated to preserving and improving your vision. It is our philosophy and belief that we take care of our patients like members of our own family. Our doctors perform comprehensive eye exams and specialize in the latest medical and surgical treatments of a broad spectrum of eye diseases. We truly provide the most complete eye care in this area. We provide evening and weekend hours for your convenience. Our 3 locations are in Linwood (2020 New Rd), Cape May Court House (315 S Main St, or Rte 9 S), and Ocean City (1300 Asbury Ave). Please call for an appointment: 609-927-2020. Please let us know how you liked our services by submitting comments on our Facebook page. Diane Mitzel-D'Agostino — 5 stars — I'm very happy with this group of people. They are professional, courteous and friendly. The doctor is very thorough and listens to and answers all your questions.